1) the Agrarian Revolution; 2) the Industrial Revolution; and 3) the Cybernetic one. The book introduces the theory of production revolutions which is a new valuable explanatory paradigm that analyzes causes and trends of dramatic shifts in historical process. The authors describe the course of technological transformations in history and demonstrate a possible application of the theory to explain the present and forthcoming technological changes. They analyze the technological shifts which took place in the second half of the twentieth and early twenty-first centuries and forecast the main shifts in the next half a century. On this basis the authors present a detailed analysis of the latest production revolution which is denoted as ‘Сybernetic’. They make some predictions about its development in the nearest five decades and up to the end of the twenty-first century and show that the development of various self-regulating systems will be the main trend of this revolution. 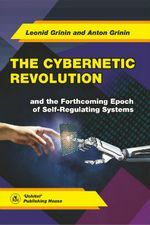 The authors argue that the transition to the starting final phase of the Cybernetic Revolution (in the 2030–2040s) will first occur in the field of medicine (in some its innovative branches). In future we will deal with the started convergence of innovative technologies which will form the system of MANBRIC-technologies (i.e. the technological paradigm based on medicine, additive, nano- and bio- technologies, robotics, IT and cognitive technologies). The monograph gives an outline of the future breakthroughs in medicine and some other technologies (between the 2010s and 2070s).